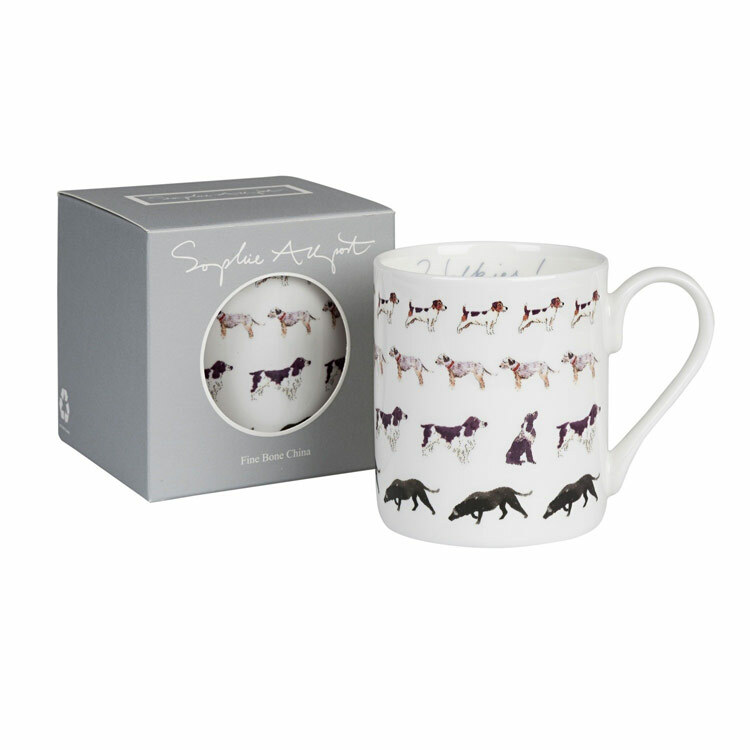 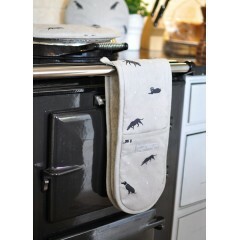 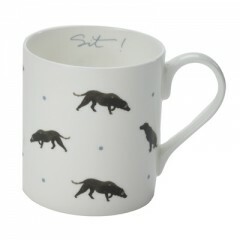 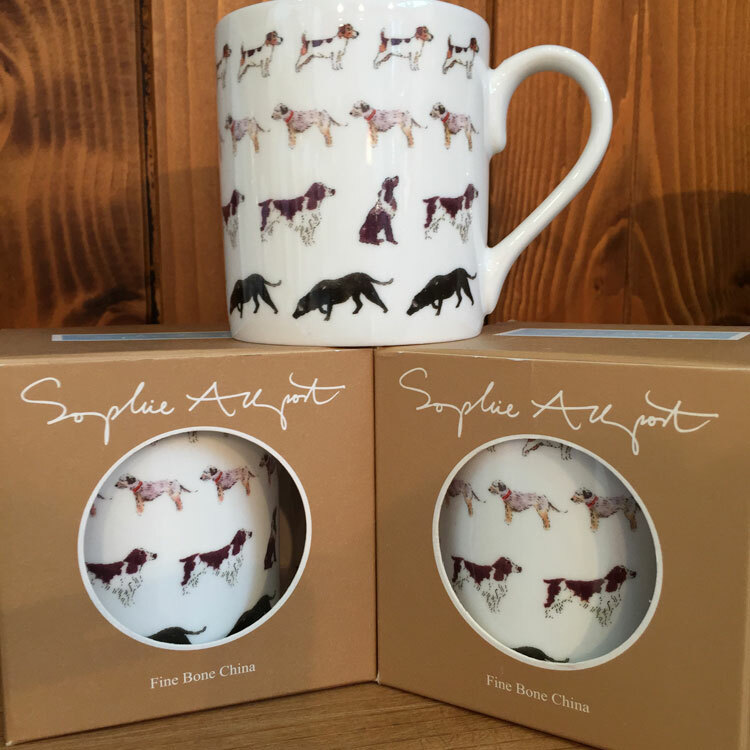 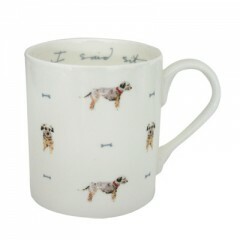 Sophie Allport's designs are always strongly reminiscent of the traditional countryside existence and that's no less the case with this fine bone china mug decorated with her distinctive paintings of hunting dogs. 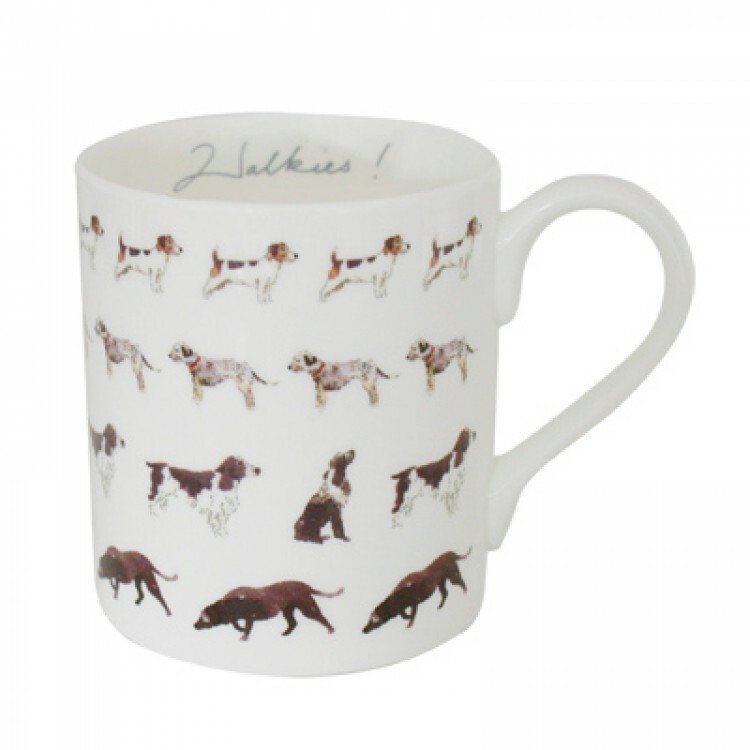 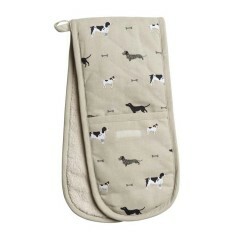 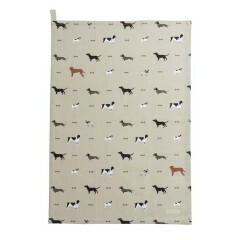 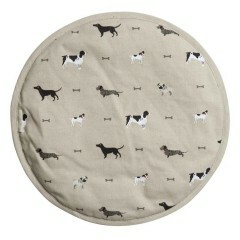 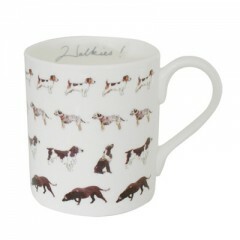 From top to bottom, this mug for dog lovers has a row of perky Jack Russells, a row of red-collared border terriers, a row of shaggy basset hounds and finally, along the bottom, a row of curious chocolate Labradors following each other endlessly in circles. 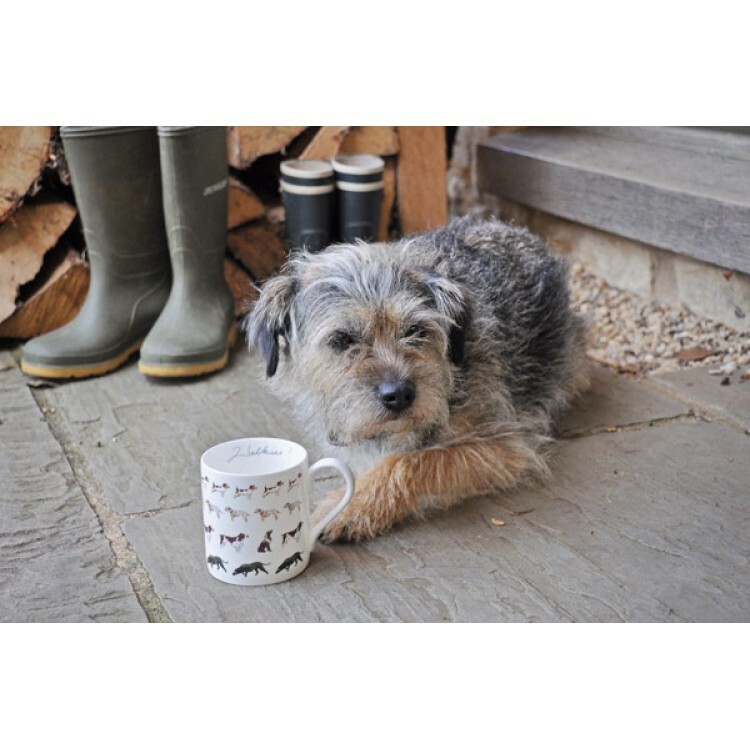 Most of us will never own a working dog and will know our own labrador or terrier only as a loyal family pet or a companion. 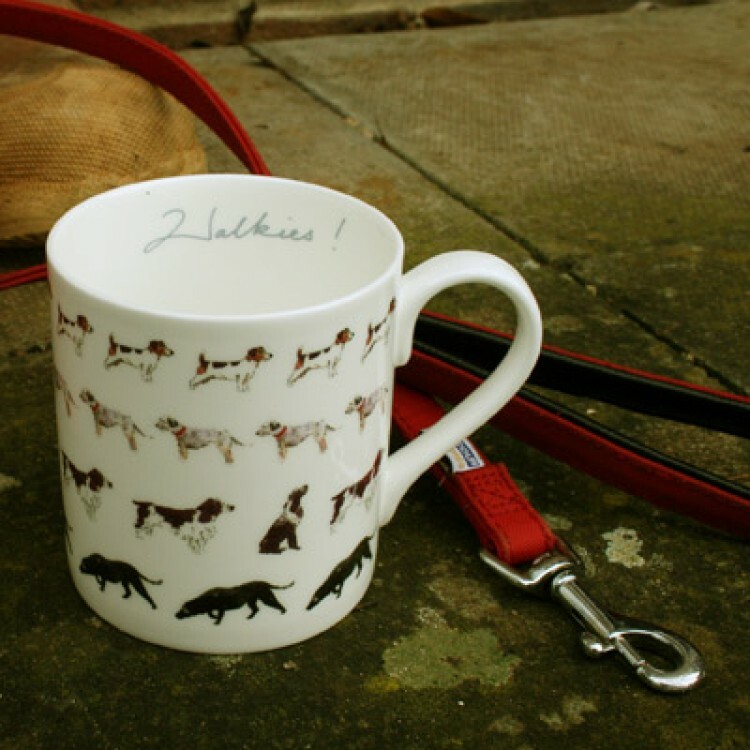 That sentiment is summed up in one word - something common to all breeds and guaranteed to always prick up their ears, and which is cheekily written on the inside of the rim of this mug: "Walkies!"